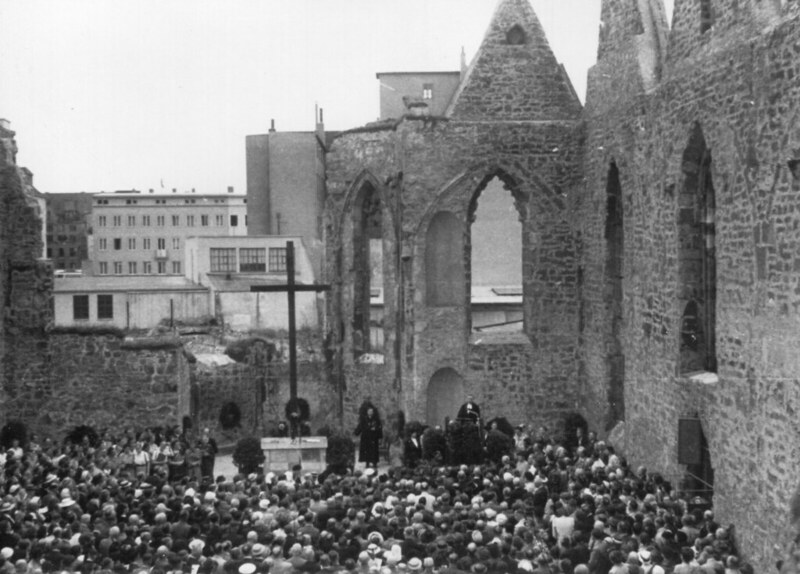 "The living Word in a responsible church"
Highlights: This Assembly was convened in a city scarred by World War II but which had the determination to rebuild. The LWF was the first large, international organization to meet in Germany after the war. Landesbischof Hanns Lilje of the Evangelical Lutheran Church of Hanover was elected LWF President and Dr Carl E. Lund-Quist, of the United States, became the Executive Secretary. The Assembly amended the constitution so that at least four members of the Executive Committee were laypeople. The Assembly set up the departments of theology, of World Service and on World Missions. It approved the publication of a Lutheran world encyclopedia and the creation of the LWF Archives. It decided to include youth in future assemblies. The Assembly was overshadowed by East-West conflict and only a few delegates from East Germany and the eastern European states could take part. More delegates from Latin America and Asia were present than had been before. Several Lutheran churches from the now independent India were represented. However, no African church delegates were present at all. Africans who did take part did so as official visitors of mission boards.